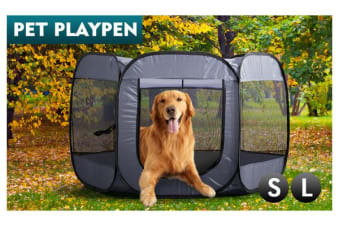 Keep your pet safe and secure with the Portable Pet Play Pen. This portable and lightweight playpen keeps pets safe and secure. 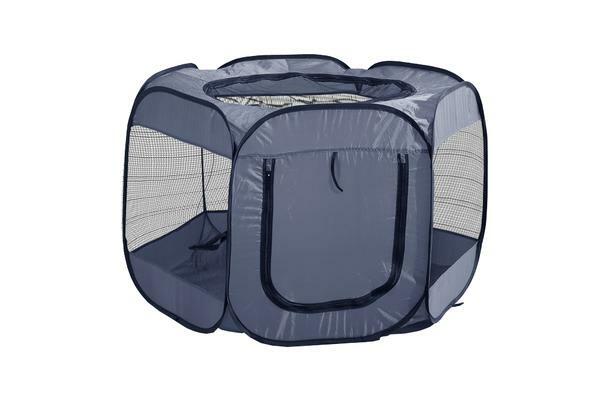 Eight nylon and mesh sides provide just the right amount of light, shade and ventilation. Mesh door zips up and ties back with hook and loop self closures and removable nylon and mesh zippered top provide easy access to pet. 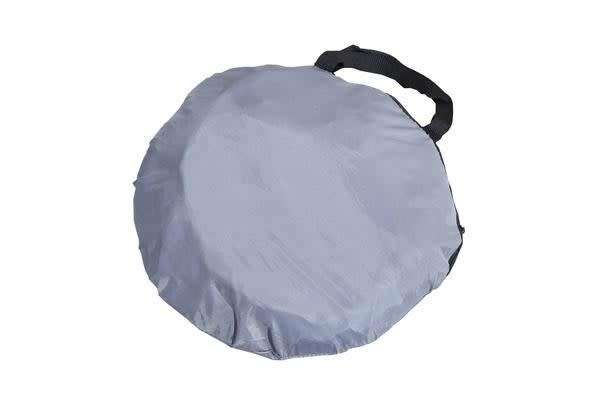 Fine workmanship,top,side zipper design configuration can also be closed up when a dog cage use, when the pet house is very comfortable oh. Door using Velcro Curl design, full of humanity.